Sony Mobile is releasing the Android Ice Cream Sandwich upgrade for a trio of Xperia handsets. The mid-range Sony Xperia U, which has been awaiting the update since April, the tough Xperia Go and the compact Xperia Sola, will all receive the Android 4.0 software this week. 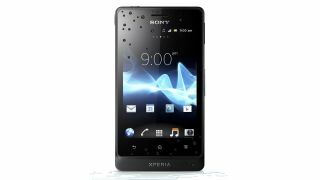 Sony has already released ICS for the Xperia S and Xperia P, while the recently announced Xperia T will launch with that version of Google's mobile operating system straight out of the box. The update will be rolled out during the middle of this week for those with unlocked handsets, while those on network contracts may have to wait a little bit longer. Alongside ICS, the devices will also bring improvements to the Walkman app and the albums and movies media suites. The Sola device also gets a "Glove Mode," which makes it easier to use the device while using gloves. Perfect for the forthcoming winter months, or for goalkeepers. While the update will be a boon for users that have been laden with the Android 2.3: Gingerbread OS for too long, many may wonder why Ice Cream Sandwich is on the menu and not Jelly Bean?